Biodiesel is a fuel substitute for diesel. With increased usage over the past years, truck drivers should be asking which type of fuel is superior. Here is a head-to-head comparison of these two fuels with some important facts and differences about them. Biodiesel is generally known to cost more than regular diesel. Biodiesel is usually sold as a mix (or blend), and the common B5 is a five percent biodiesel to ninety-five percent regular diesel ratio. B5 can be in the same price range as regular diesel. The blend of twenty percent (B20) biodiesel, with eighty percent regular diesel will sell for as much as twenty cents more than regular diesel. In the month of April this year (2014), the nation wide average for B20 biodiesel was priced at $4.01 per gallon and B100 with an even higher price was at $4.23 per gallon, while regular diesel was slightly less at was $3.97 per gallon. Throughout the past years, biodiesel has seemed to always have been slightly more expensive than regular diesel fuel. 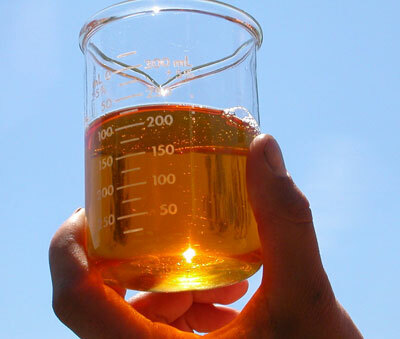 The use of pure biodiesel (B100) can cause a loss of five to seven percent in maximum power output of your vehicle. The lower grades of B5 and B20 seem to have little to no impact on engine performance. High blend degrees can give less fuel economy, torque, and power. Biodiesel fuel is highly recognized as significantly better for the environment, and for human health. Higher amounts of biodiesel may cause poorer performance, particularly in cold weather, as the regular diesel allows for better overall performance; but even then, it may vary with each vehicle and place. A tank of unblended biodiesel (B100), will give you less mpg (miles per gallon), with about 44 mpg for highway driving, while regular diesel will give you over 45 mpg. For city driving, biodiesel will give your vehicle 22 miles per gallon. Regular diesel will bring in about 20 mpg. By this evidence, diesel gives you greater mileage per gallon, but not by much. The lower grades of biodiesel fuel can be used in most kinds of vehicles, but do not necessarily give greater fuel economy. As you see, it can vary between different kinds of driving. Engine longevity depends largely on the lubricity of diesel fuel. Biodiesel is known to have a far superior ability (compared to diesel fuel) to lubricate fuel pumps and injectors. Even a smaller amount such as one to two percent can have a big impact in lubricity and thus longer engine life. However, the much higher biodiesel blends may require engine modifications. B20 biodiesel will cause your vehicle to run similarly to one that is filled with regular petroleum diesel. A problem in running with pure biodiesel (B100), is that degrading can happen with certain types of rubber compounds and hoses over time, while regular diesel does not have this effect. Unlike regular diesel, biodiesel is known to have a initial cleaning effect on the engine. Biodiesel is seen (whether in higher or lower amounts) to help the engine and its longevity. Written by Chad Deveault (with article contributions by David Leiter). Chad works on a marketing team as a freelance writer covering a wide range of topics in the oil, housing and trucking industries.